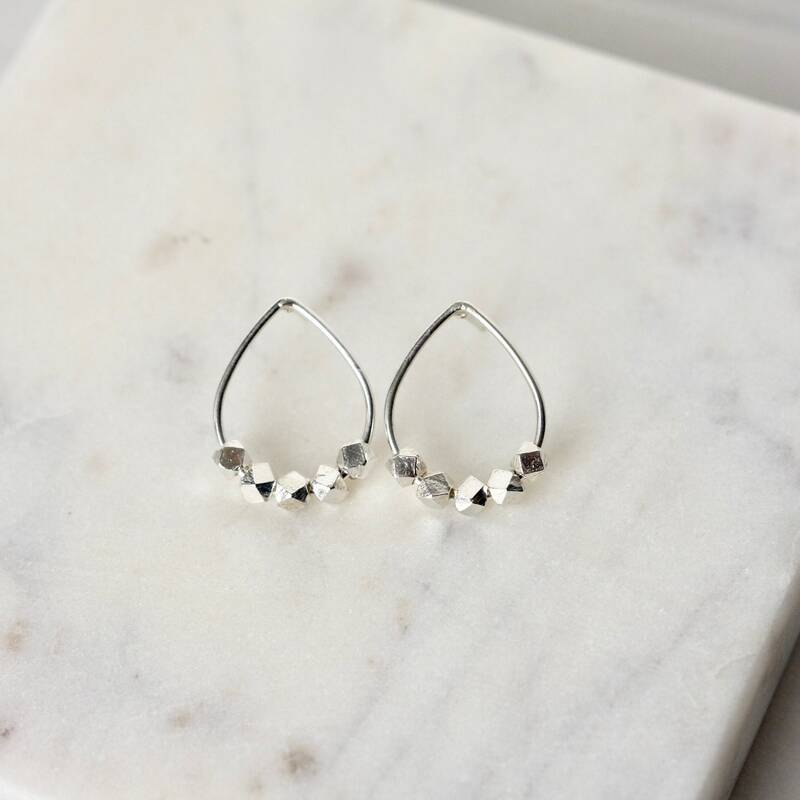 These stylish earrings feature sterling silver teardrop posts with sleek and shiny sterling silver nugget beads. 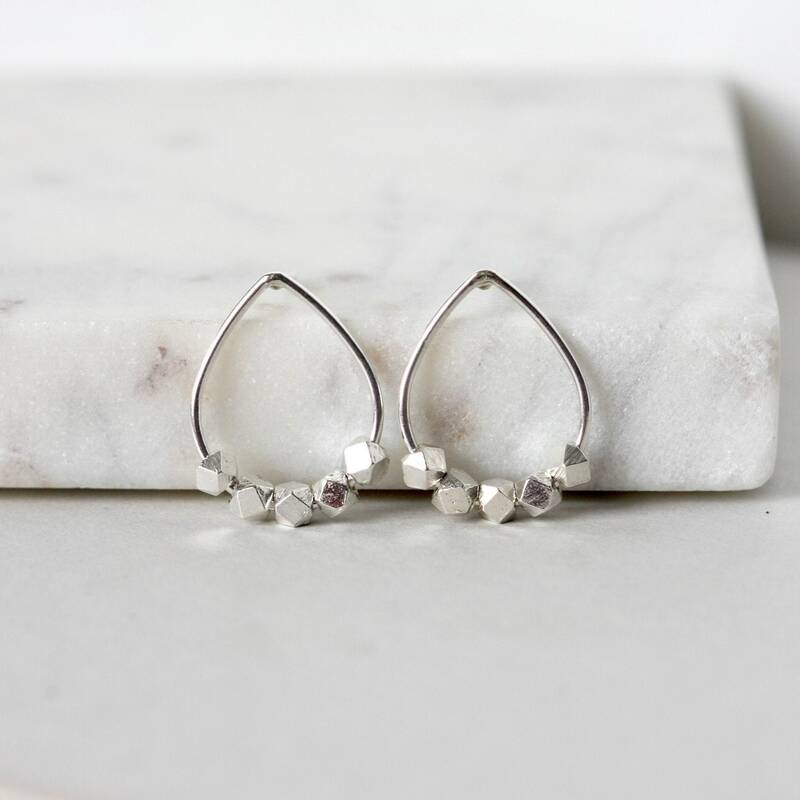 The beads have a nice bright polish and facets that catch the light. 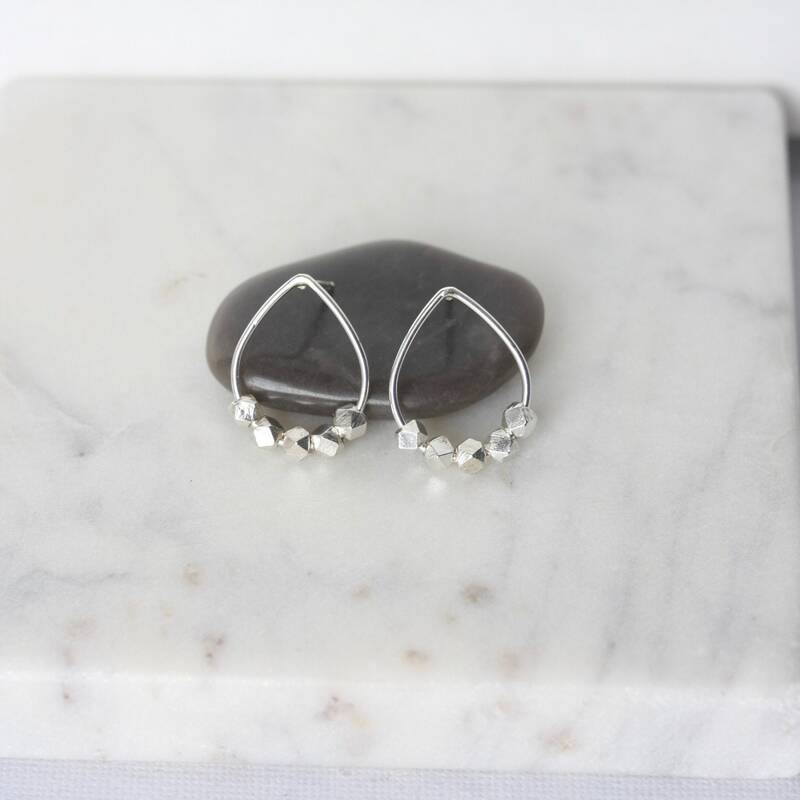 I've soldered sterling silver posts on to the teardrops and they are held in place with sterling silver backings. 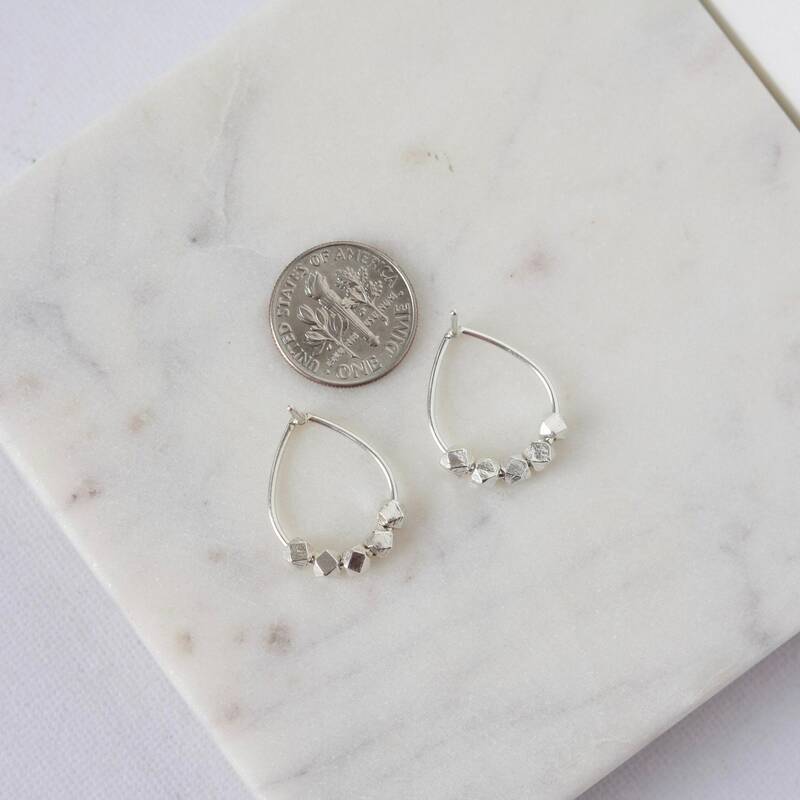 The nuggets are 3.5mm wide and the teardrops are 20mm long and about 15mm at their widest. 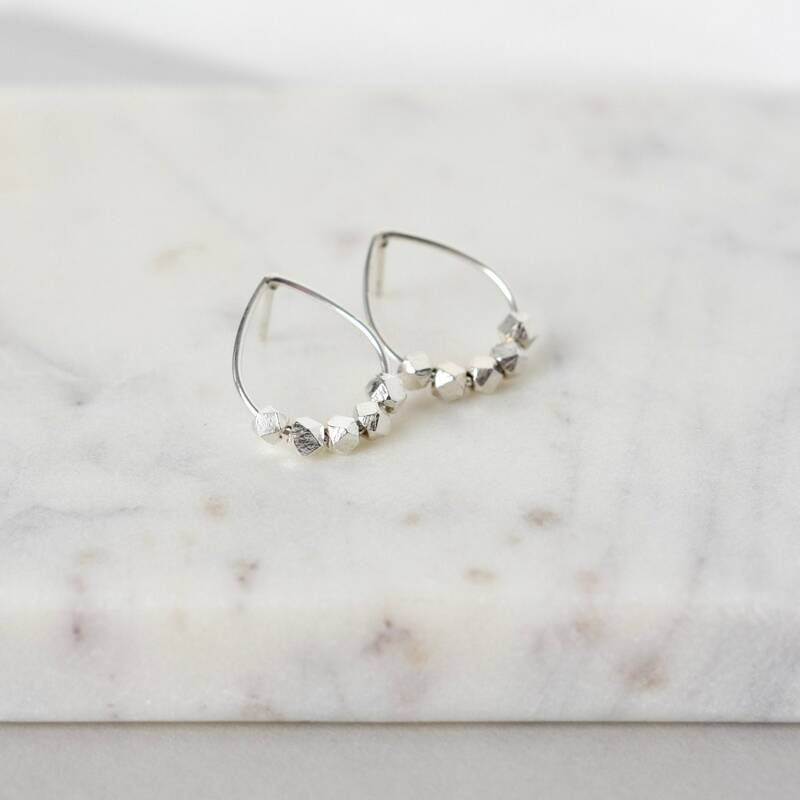 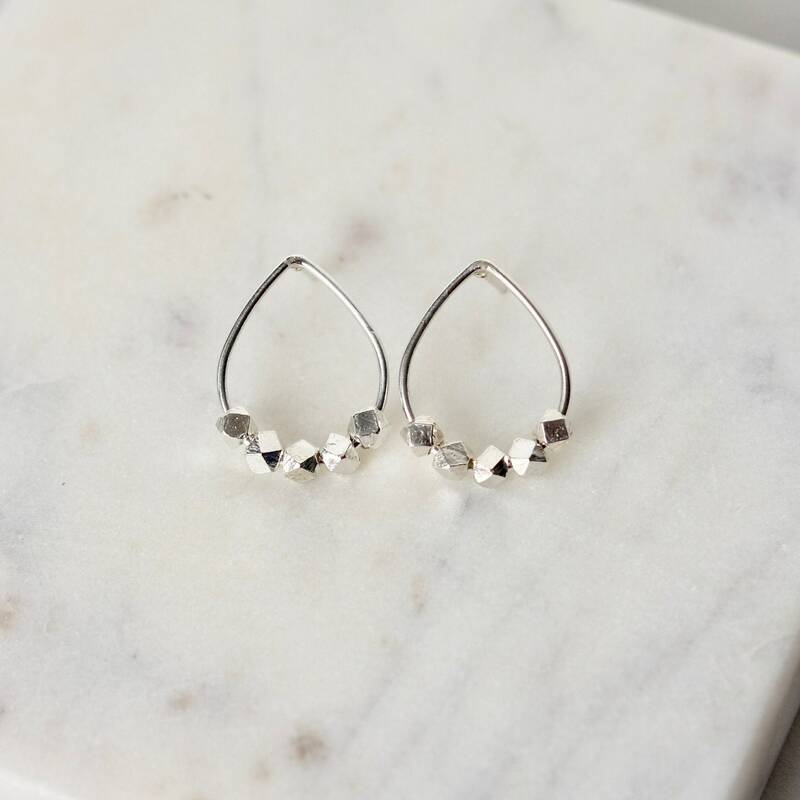 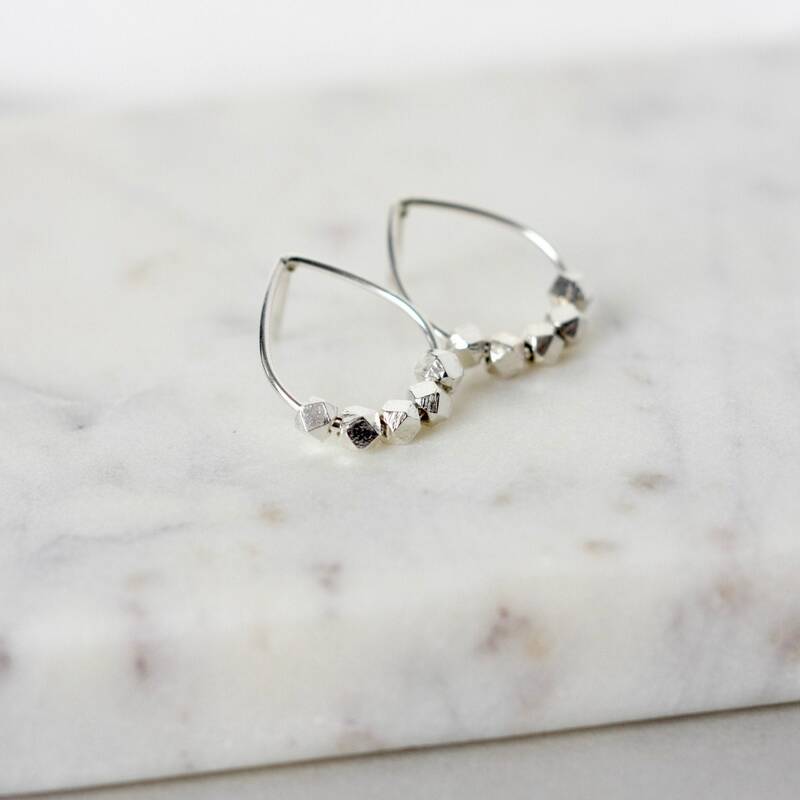 These earrings would be a chic wardrobe staple as they are lightweight and comfortable and the minimalist design ensures they work with any outfit.